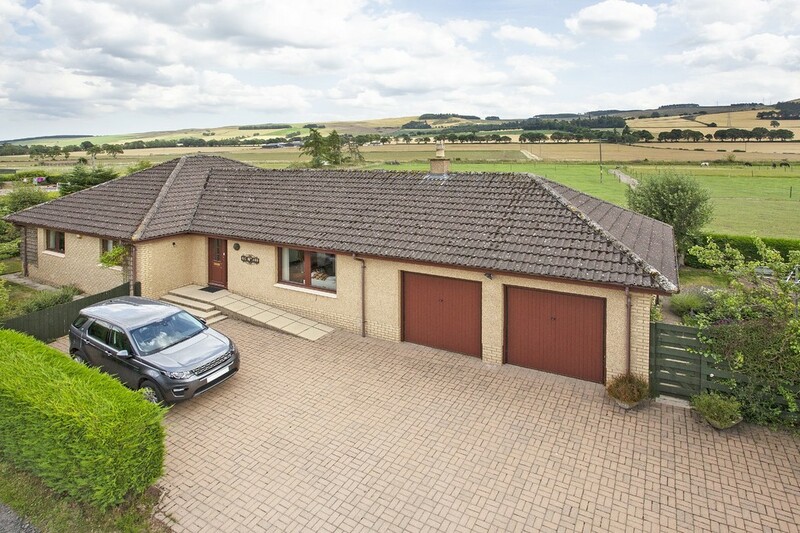 ** HOME REPORT VALUE £250,000 ** SPACIOUS 3 BEDROOM DETACHED BUNGALOW situated within the village of Kirkinch benefiting from spectacular panoramic views of the countryside, adjacent to the village of Meigle. 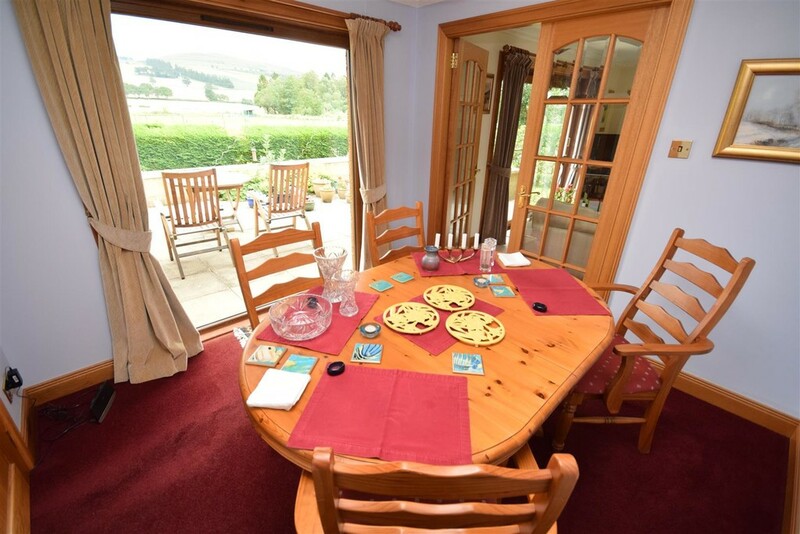 This spacious accommodation comprises of entrance porch, hall, lounge, dining area, breakfasting kitchen, 3 double bedrooms (bedroom two with en-suite) and a family bathroom. 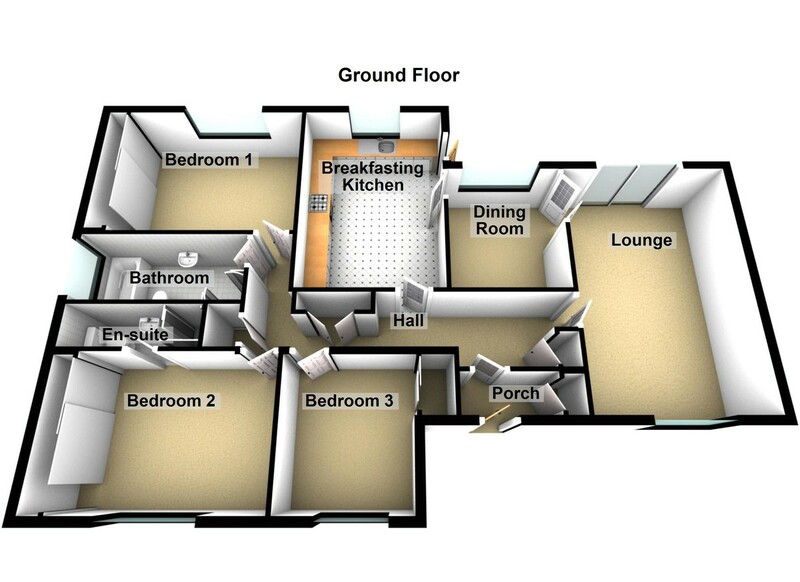 There is LPG gas and double glazing throughout. To the front of the property there is parking via a mono block driveway which leads onto a double garage. 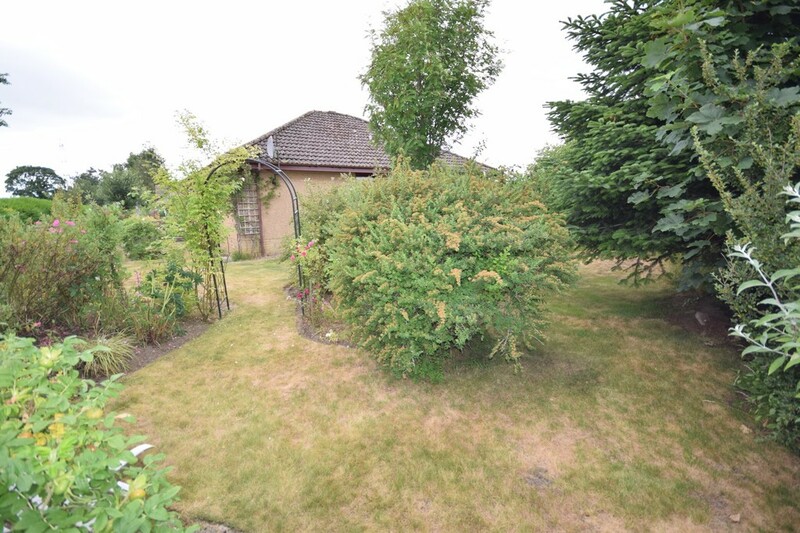 To the rear and sides of the property there is a wrap around garden. 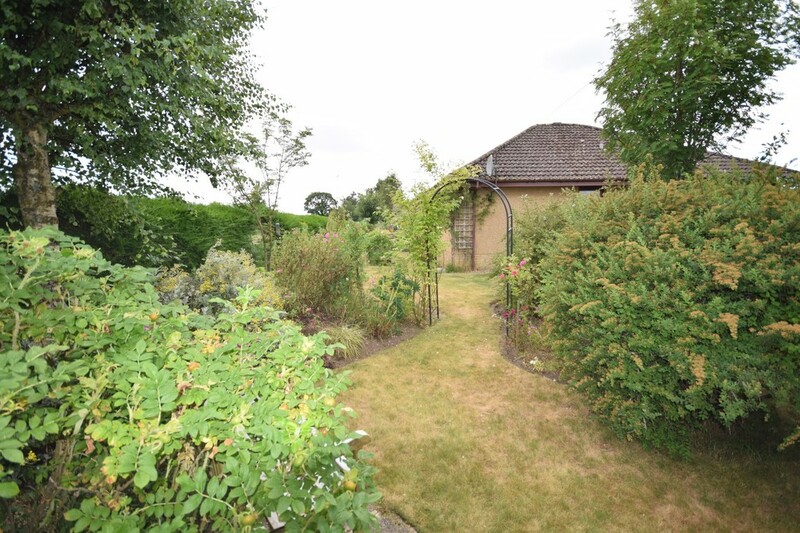 There are outbuildings included in this sale, a sizable greenhouse, a garden shed, a summer house and 2 raised beds. EPC RATING E.
Early viewings are highly recommended to appreciate the accommodation on offer. 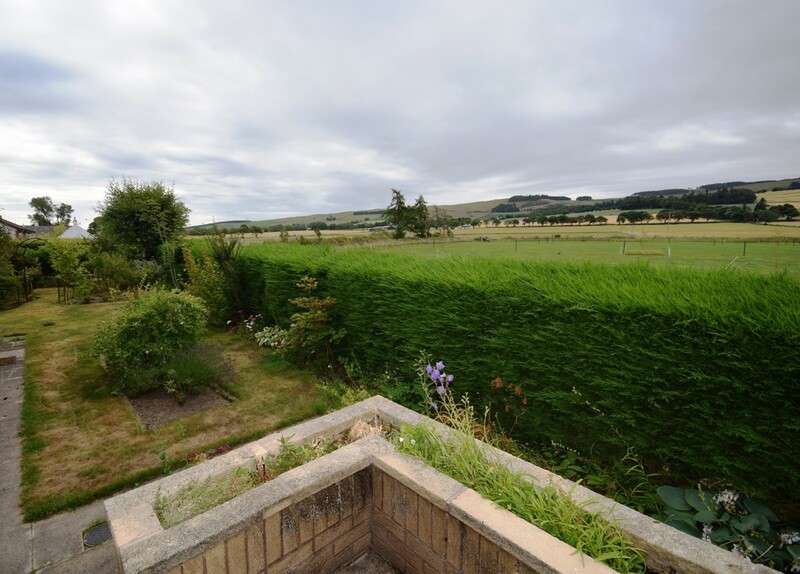 AREA A very short drive from the towns of Coupar Angus and Alyth, whilst Blairgowrie, Forfar and Dundee are all approximately 20 minutes drive away and Perth is also easily accessible. 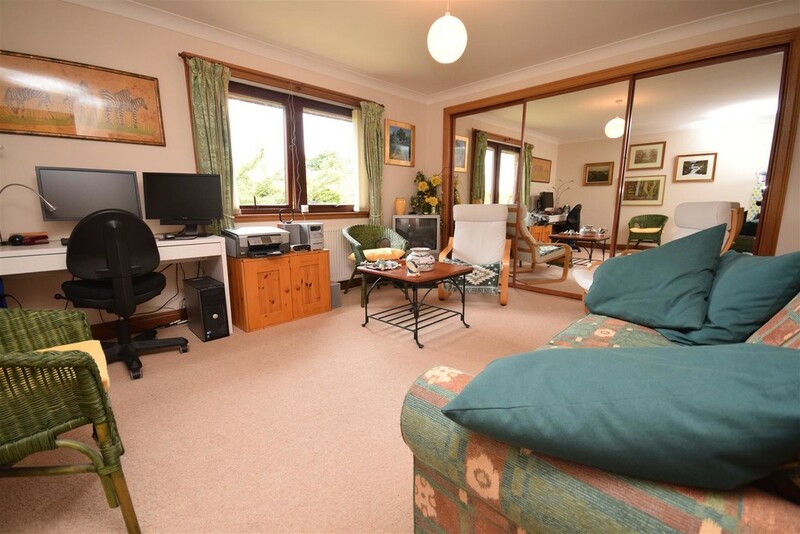 The property is well positioned to take advantage of outdoor and leisure facilities available and also benefiting from schools nearby. ENTRANCE PORCH Entered via a wooden panel glass door, the entrance porch is neutrally decorated. Hanging rail for outdoor attire. Built in cupboard. Cornicing to the ceiling. Carpet. HALL The entrance hall gives access to all accommodation on offer. 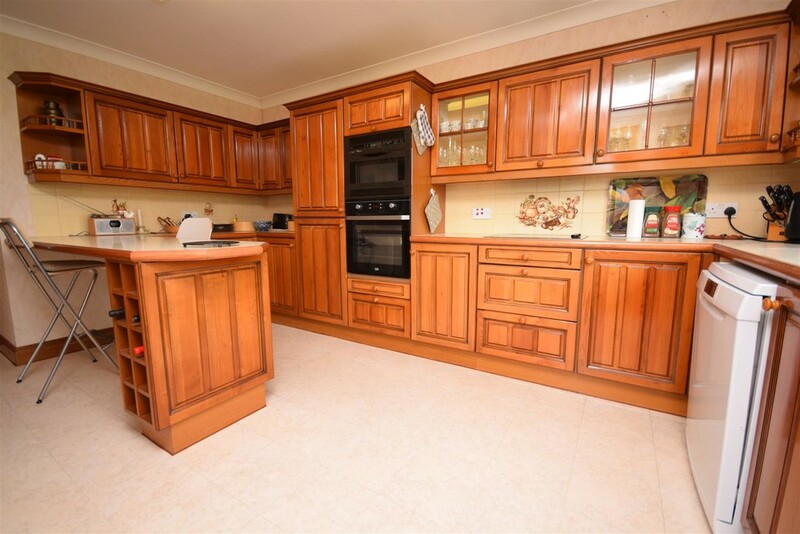 Three built in cupboards. Cornicing to the ceiling. Radiator. Carpet. Neutral decor. Access to the loft via a hatch. Loft is partially floored. LOUNGE 19' 8" x 13' 1" (6'1m x 4'8m) A very spacious public room with windows to the front and rear. Gas feature fireplace. Space for free standing furniture. Cornicing to the ceiling. 2 radiators. Television point. Neutral decor. Carpet. Patio doors provide access to main south facing patio. DINING ROOM 9' 10" x 9' 6" (3m x 2.9m) A bright and spacious dining area with space for a large table and chairs. 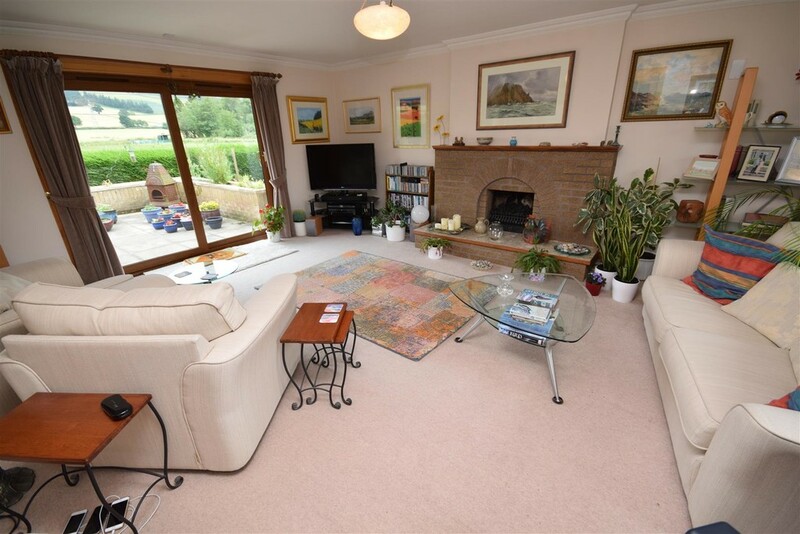 Large window facing the rear providing magnificent views. Double doors to the lounge and a door to the kitchen. 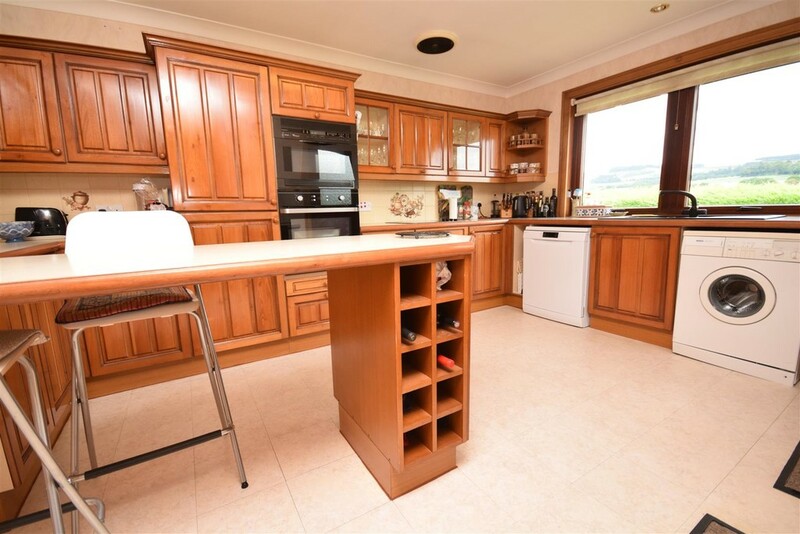 BREAKFASTING KITCHEN 15' 3" x 10' 9" (4.65m x 3.28m) A well proportioned kitchen with a range of wooden wall and base units with contrasting work surfaces. Tiling to the splash back areas. 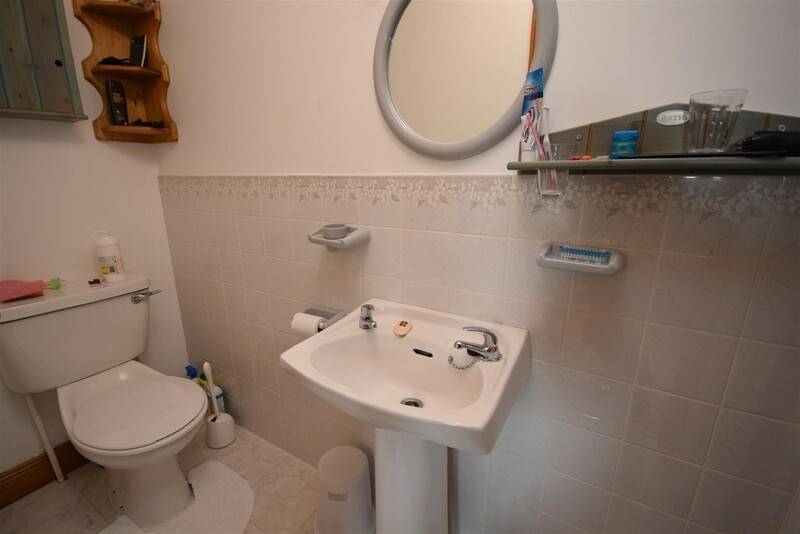 1 1/2 sink with drainer unit. Window to the rear providing views over the countryside. Integrated 4 ring electric hob with extractor above. Integrated oven/grill. Space for dishwasher and washing machine. Integrated microwave. Breakfast bar. Complementary vinyl flooring. Cornicing to the ceiling. Radiator. Access to main patio and garden. 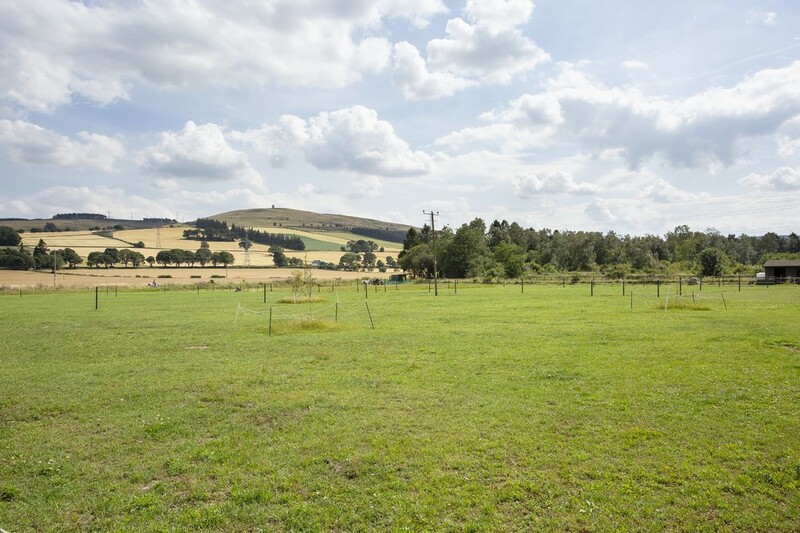 Stunning views of the countryside. 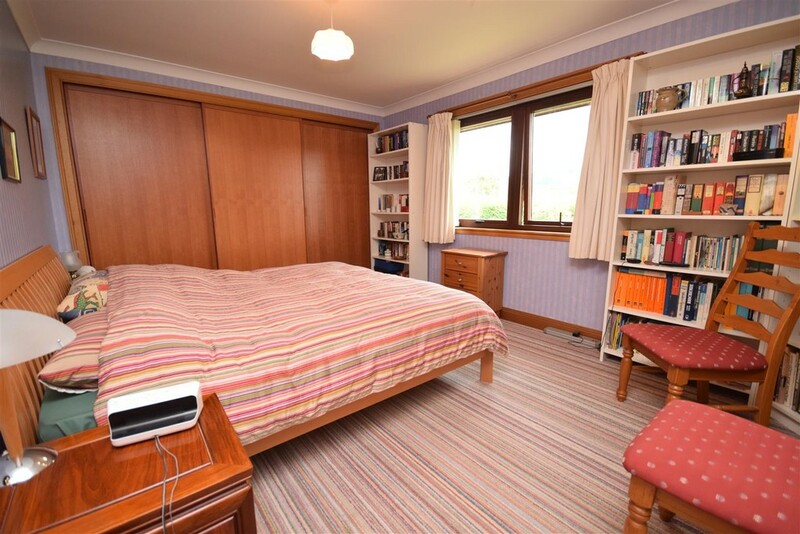 MASTER BEDROOM 14 ' 5" x 11' 2" (4.39m x 3.4m) A double bedroom fitted with wall to wall triple wardrobes with hanging rails and shelving. Ample space for free standing furniture. Neutral decor. Cornicing to the ceiling. Carpet. Window to the rear. 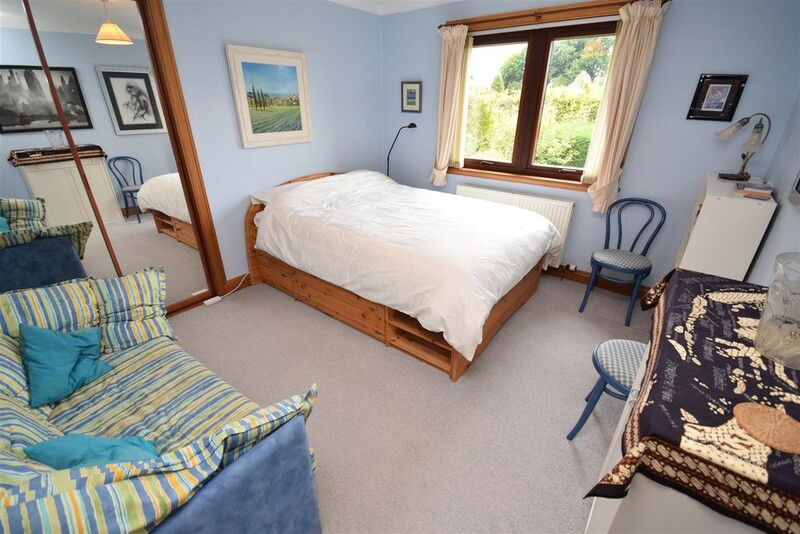 BEDROOM 2 14' 5" x 12' 10" (4.39m x 3.91m) A spacious room which is currently being used as an additional reception room. Window to the front. Space for free standing furniture. Three built in wardrobes with hanging rails and shelving, finished with mirrored sliding doors. Carpet. Neutral decor. Cornicing to the ceiling. Radiator. 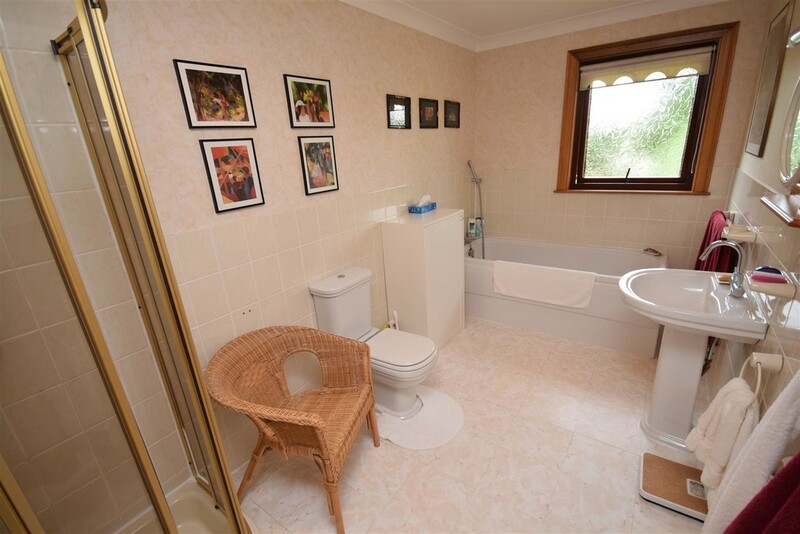 ENSUITE Fitted with a 3 piece white suite comprising W.C., wash hand basin and shower. Complementary vinyl flooring. Cornicing to the ceiling. Extractor fan. BEDROOM 3 12' 3" x 10' 5" (3.73m x 3.18m) A further double bedroom with window to the front. Built in wardrobe with hanging rail and shelving finished with mirrored doors. Radiator. Cornicing to the ceiling. Carpet. BATHROOM 14' 1" x 6' 7" (4.29m x 2.01m) A very large family bathroom fitted with a 4 piece suite comprising W.C., wash hand basin, bath and corner shower with tiling to the splash back areas. Complementary vinyl floor. Opaque window to the side providing ventilation and natural light. Extractor fan. Radiator. EXTERNAL A private road leads up to the property (900 sq metres) where there is a mono block driveway providing ample parking. 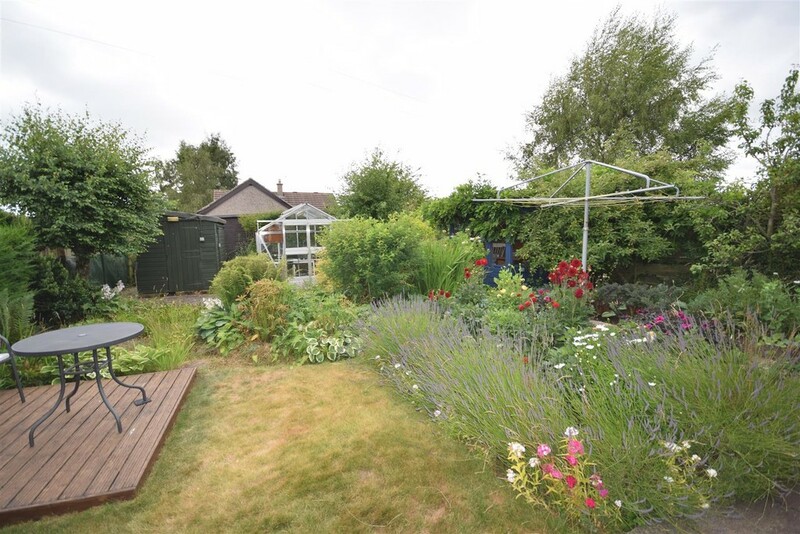 To the sides, rear and front of the property the garden is enclosed and mainly laid to lawn. 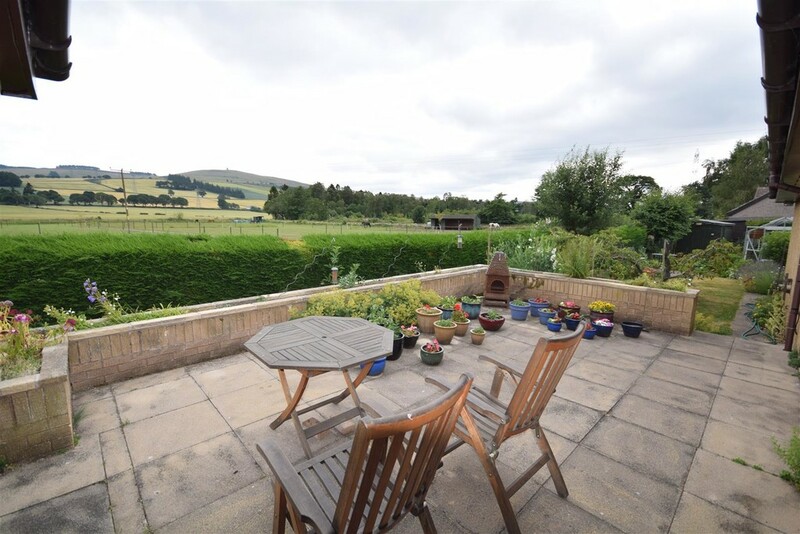 There is an elevated patio area facing the south which is ideal for relaxation and socialising and panoramic views across the countryside. 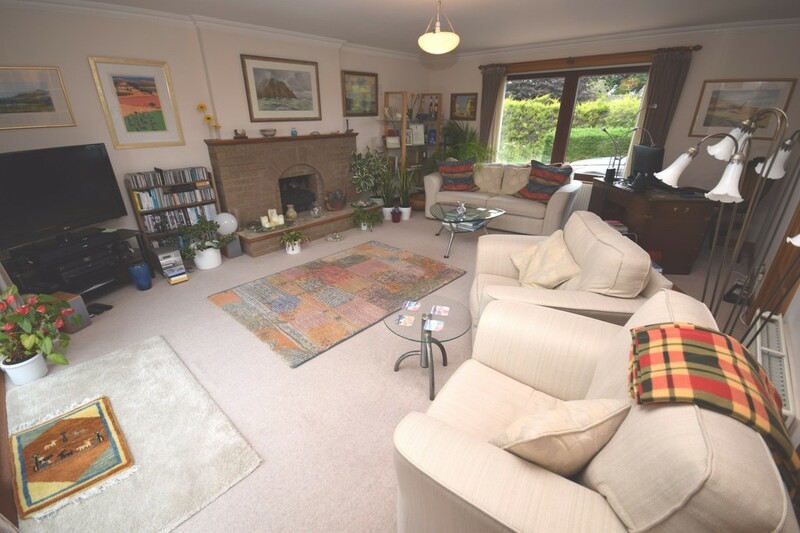 The property benefits from an additional patio area which is west facing. 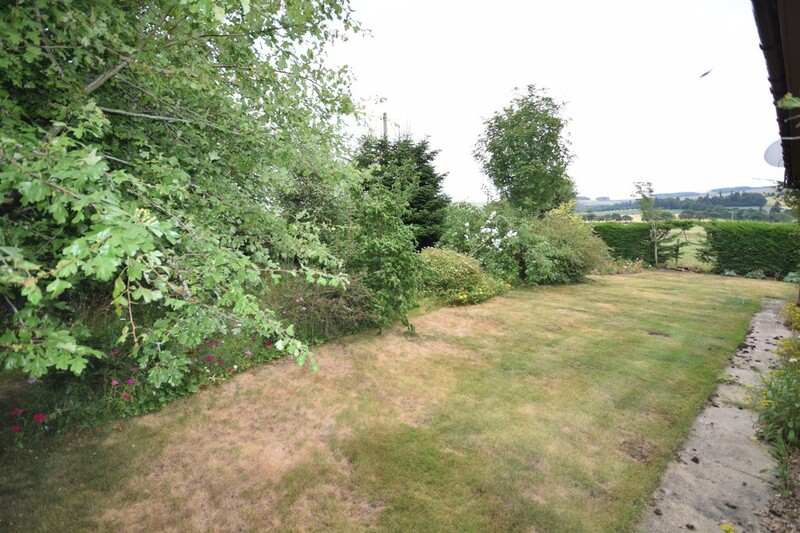 Mature trees and shrubs and surrounded by evergreen hedge. GARAGE 19' 8" x 19' 8" (6'0m x 6'0m) A large integral double garage with a door to the garden and a window. It contains the Worcester combi-boiler and also provides ample space for floor-standing storage and fridges/freezers as well as extensive overhead storage.